I just wrapped up two separate Facebook Hackathons, one in New York and the other in Boston. Both events started with presentations from various Facebook team members, demonstrating different aspects of the Facebook platform. After the Facebook workshops, there was a presentation by Jim Zimmerman of Thuzi, a preferred Facebook mobile development shop from Florida. During both his talks, he asked audience to raise their hand and show which platform they developed their mobile apps on. In both cities HTML5 was the clear choice of developers. Even though Facebook still heavily focused on native app development during their workshops you can tell they were leaning heavily towards HTML5, by inviting PhoneGap to present, and giving away HTML5 t-shirts. I don’t think HTML5 has won the mobile battle by any stretch, but after seeing Adobes heavy focus on HTML5 at the Designing & Developing for Mobile Workshop in San Francisco, and now the dominance of it by developers at both Facebook Mobile Hacks, I think the tide is turning. The web is reorganizing around people. This statement is simple, but profound when you think of the web, as historically a bunch of pages and links. Not really about people. The web has shifted to be about people and their friends, and the photos, games and other connections that are made between people. This shift in the web has a lot to do with how people are using the web. The world is becoming increasingly mobile, and as we interact with the web more and more via our mobile handsets it becomes more about us, our friends and the local worlds we live in. Nearly all of Facebooks growth is coming through mobile, across all levels of mobile devices, even on very low-end mobile devices. 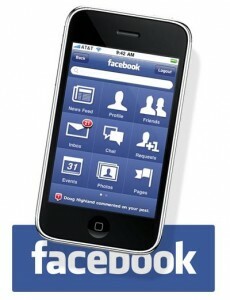 Facebook is supporting all of these devices through both native and web application development using HTML5. All of this seems obvious on the surface, but when you consider that of the 800 million active Facebook users, 350 million active users currently access Facebook through their mobile devices, it really dictates how important social, mobile and local will be in 2012.